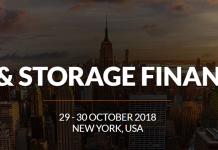 I attended the Solar & Storage Finance conference hosted in NYC in late October 2018. Presenters included a mix of capital providers & asset managers, private non-profit entities & public agencies, legal, accounting & consulting firms, intermediaries, firms providing risk analysis, ratings & mitigation, & various vendors of energy storage and IT-related services. The tone of the discussions was noteworthy for its near total absence of ideological comments about environmental urgency. Rather, it was a meeting of finance technicians and technocrats focused on the nuts & bolts of accomplishing those ends, with the merits and relevance of mission assumed. The conference issues were organized with public agency comments at the beginning about policy targets and accomplishments. This set the stage for discussion panels to address the interests and appetites of Large Buyers, including both offtaker utilities and capital market asset buyers (institutional infrastructure portfolio managers as well as real estate asset holders). This was followed by opportunities to showcase the concerns of tax equity investors and debt providers. Interspersed were presentations and panels regarding risk mitigation, storage technologies, and storage financing concerns for both public & private sectors. The agency sector was represented by 3 public institutions, NYSERDA, NY Power Authority (NYPA), & the NYC Office of Sustainability & Resiliency; 2 utilities, ConEd (ED), and E.On (EOAN.DE), and 5 private non-profits, ACORE, Solar Finance Council, Urban Land Institute, and NY-BEST (battery energy storage consortium). NYSERDA’s CEO Alicia Barton as the keynote speaker affirmed a strong commitment to the State Renewable Energy Vision (REV) as the grand policy framework for transitioning from a “business as usual” carbon economy, citing a long series of goals and achievements. The NY-Sun initiative was given a budget of $1B which is being administered by NYSERDA The NY Green Bank also has $1B in funding, of which $522.3 M has been deployed. She noted that there were 4400 community solar projects in the pipeline, and 22 large scale projects that were announced this year. 1500 new storage projects were targeted by 2025 under the Storage Roadmap. The Public Service Commission (PSC) has filed to allocate $350M in incentives, of which $40M will be placed through NY-Sun for solar+storage projects. These incentives are projected to produce $2B in value from grid optimization. She addressed questions about the sentiment from the development community that the PSC’s net metering successor tariff program, VDER, has quashed development by capitulating to utility concerns and shaving compensation for distributed generation, reducing incentives for private sector capital. She responded that PSC white papers published 7/26/18 & 7/31/18 addressed these concerns, which she acknowledged were plaguing the public dialogue, but she expressed her feeling that the VDER plan is the right approach. She closed by directing attention to the fact that electric generation constituted approximately only 25% of GHG emissions, that policy & development would need to address buildings and transportation. The representative from NYC’s Sustainability Office Susanne Desroche, recited its development profile: 7GW of renewable generation installed in the 5 boroughs, 154MW solar & 67MW storage installed in NYC, goal of another 100MW by 2024, 40MW in the pipeline, for solar & storage. She reported plans to replace 85% of peaker plants with 1000MW of storage by 2030. Automated permitting is a major initiative in process. FDNY is evaluating concerns about fire risk for indoor siting of batteries, but some outdoor sites for battery storage are being installed. Targets for 2050 include 60% building electrification and 50 DC fast chargers, with 5 DCFC’s planned for 2019. When asked about plans for the MTA to accelerate its acquisition of electric buses and build out of bus charging infrastructure, she declined to comment on MTA timelines. 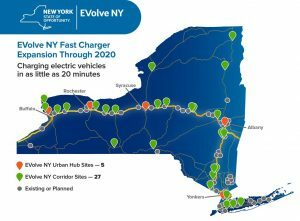 NYPA however noted that its EVolve NY plan has committed $250M through 2025 for EV charging infrastructure including 200 DC Fast Chargers (150kW) along traffic corridors, airport charging hubs and EV model communities. NYPA further commented that historically, it had accumulated 25% of the entire state’s generating portfolio, but was shifting its focus to distributed generation. Stephen Wemple from ConEd articulated the premise of VDER, the successor tariff to Net Energy Metering (NEM), identifying the main categories of the “Value Stack”. 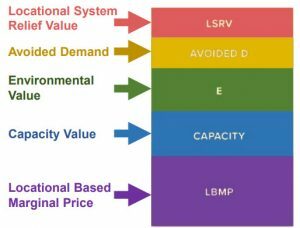 The LBMP is indexed to the wholesale ISO market price, whereas the LSRV is value for avoided line development. The Environmental value is priced on either REC prices (as determined by NYSERDA) or the social cost of carbon (as determined by RGGI). An extended analysis was referenced in NYSolarMap analysis, which included excel modeling presentations by several large solar developers. Daniel Spitzer, attorney from Hodgson Russ, presented a critical assessment of agency policies, in particular noting contradictions between declared goals and actual pacing in implementing the VDER framework for compensation for both solar and for storage development. He noted that NY will not be able to achieve its goals of 50% renewables by 2030 (REV, RPS or NY-BEST Roadmap,) without faster adoption of storage. $200M allocated at NY Green Bank for storage is not being committed quickly enough (which is at odds with NYSERDA’s statement that $450M had been deployed). He noted that recent legislation in CA leading the promotion and adoption of storage, citing one bill that imposes a requirement that microgrids use batteries or other storage rather than nat gas generators, recommending NY should follow that course, which would catalyze more renewable microgrid development. A 2nd CA bill directs utilities to implement 500MW of storage. He also advocated called for more aggressive efforts for restraint on interconnection costs than provided in the solar+storage Map, noting that the PSC has taken steps to update the SIR (Standard Interconnection Requirements). Storage deployments in NY have trickled in as compared to the surge in renewable generation. In part this is because grid integration of storage technology is still in an early stage, with 94% of 25.2GW of US storage capacity in pumped hydro, and all the tech innovation constituting only 6% of storage capacity. Massive efforts will be needed to expand both capacity & grid integration. The primary purpose of energy storage is energy arbitrage, ie., purchasing energy to charge batteries when prices are low due to surplus and discharging to sell when prices are high due to demand congestion, with the effect of providing load smoothing, at several levels within the grid architecture. In addition to the compensation storage should receive for its contribution to the Value of Distributed Resources, it should also see revenue for these ancillary services. Storage provides “ancillary services” to the grid that are currently un- or under-compensated, including frequency regulation, voltage support, reserve capacity, load following & ramping. The PSC is considering a “value stack” approach for storage as well as generation, to disaggregate the value streams and compensate each separately. RMI identified 13 services that storage can provide, to 3 stakeholder groups. Determining the cashflow for a solar+storage project from VDER rules involves a complicated comparison between structuring and pricing regimes, which can create confusion when presenting a proposal for financing. Because storage can potentially participate in both state-regulated retail markets and FERC-regulated wholesale markets, storage pricing models have to ensure not only adequate compensation but must also avoid double compensation for any segregated value stream. Spitzer advocated for expansion of incentives & subsidies in the VDER compensation model, in addition to the Transition benefits currently supporting VDER pricing. He also made reference to a supplemental subsidy for storage, a “market acceleration bridge incentive” (MAI), a proposal within the Roadmap that calls for $350M to be drawn from the State’s Clean Energy Fund. Solutions to this were briefly touched upon, including a proposed subsidy under the State storage Roadmap plan to offset soft-costs, a mechanism to ensure storage is sold in 10-20yr contract increments, a state run central procurement agency for storage, and support for specific market applications, ie, for schools to offset seasonal shifts, and replacement of peaker plants. Institutional investors are potentially the largest source of capital but currently the smallest by total assets under management, so it is an industry priority to find the means to unlock access to those large pools of funds that require very low risk assets & can tolerate relatively low returns. Institutional entities represented in the panels, included 2 insurance companies, 2 banks, 1 investment bank, 3 commercial REITs, several institutionally funded alternative funds, & several entities engaged in securitization of projects into Asset Backed Securities (ABS) that are placed with institutional investors, including 2 securities brokers, an asset manager & a major developer with a deep balance sheet. Public policy is a factor in incentivizing private sector involvement, as to federal tax incentives, state structural goals such as Renewable Portfolio Standards, property tax, carbon credits, support for valuation of storage assets, and portfolio guidelines limiting category and percentage of alt assets. The rep for insurance company John Hancock sat on a panel discussing investor appetites for PV & storage with fund managers from Wafra Alternative Investments, C2 Energy Capital & Clean Capital. Only 40 deals were with institutional participants, constituting .5% of transactions, in part because, as one panel member observed, there are easier ways to bet on 15-year assets than investing in power contracts, due to numerous uncertainties, in costs, O&M risks, performance both during the contracted period and after the end of the PPA, in the merchant period. Clean Capital has partnered with John Hancock (subsidiary of Manulife (MFC)), and with Blackrock on large portfolio acquisitions. The reps for AON Insurance (AON) and Royal Bank of Canada (RY) participated in a panel discussion about tax equity investments. Jonathan Silver of Tax Equity Advisors noted that pension funds, cash equity funds and insurance funds are increasing their participation in general, but also other non-institutional corporations are taking large positions in renewables via tax equity. Gary Blitz of AON focused his comments on coverage indemnifying narrow risks for tax equity partners against reversal judgments in IRS challenges, stating that insurance revenue for this line is up 2x yoy since ’17, similar to the services offered by the Surety carriers. Tax credit recapture risk can be triggered by foreclosure, which can mean that lenders concerned with loan default risk have interests at odds with tax equity investors. RBC stated that they place funds from 80 institutional investors into their syndications of low income housing, who have been increasing their participation in renewable assets primarily to increase diversification, but since the tax reform are finding fewer tax equity opportunities. Tax advisor and syndications expert Joel Cohn of CohnReznick Capital noted that tax flips use GAAP rules primarily but also require use of “Hypothetical Linked Book Value” (HLBV) accounting rules. Other complicated factors discussed included Base Erosion Anti-abuse Tax (BEAT) rules, 5% Safe Harbor rules, and Opportunity Zone rules for pre-tax deferrals out to 2026. This discussion ended noting that it is generally simpler to employ back-leverage structures to avoid the default risk, and in some cases avoid transacting with tax partners. Another panel that included M&T Bank (MTB), Investec Holdings (South African fund) & FTI consulting (which also operates a mid-market investment bank) continued discussion of the relative merits of back-levered debt, in which a project sponsor finances its equity contribution with Back-leverage is increasingly prevalent, in part because lenders prefer less dependence on tax equity, like to see more profit distribution to Sponsors, and because tax equity participants are ramping down on long tail risk. Revenue stacking models were discussed, that involve layering on capacity and ancillary services, to the extent that projects include front-of-the-meter storage. The head of Investec for No. America commented that simpler revenue models were favored. He pointed an earlier era in tech financing when cash flow for startups were subsidized by relationship banks backed up by entities with deep balance sheets that were able to carry the risks and negative cash flows until the developing firms were able to build “economic velocity”, suggesting something similar will need to happen with renewables. Securitization was addressed by a panel moderated by Mike Mendelsohn from the Solar Finance Council, which offers a bond securitization rating portal, & includes on its advisory board kWh Analytics and CleanCapital. Panelists included a rep from asset manager Guggenheim Partners ($209B AUM) and brokerage firm Cantor Fitzgerald, Ron Borod from asset manager Ram Island Strategies, & Thomas Plageman from Vivint Solar Capital Markets (VSLR), a major developer with a deep balance sheet that has one of the largest financings listed by the NY Green Bank. Vivint reported it had completed $466M in ABS deals & 2 debt deals on the 144a market both levered and back levered, some that included a 2nd layer of tax equity. Their ABS securities were rated BBB on Quantum, with interest rates at L+ 1.75 rather than L+2.25, advance rate of 73-85%, and buyers were insurance companies taking 18yr dated PPA’s. Critical mass for these portfolios were 25-30,000 customers, which equated to $100M-$200M in asset scale. Ram Island noted its lease PPA portfolios were almost all residential, noted that the minimum levels of critical mass to be able to do the statistical underwriting was threshold of 15-20MW. It preferred using back-leverage to avoid IRS challenges of ITC basis, and to avoid the competition contractually for cashflow between debt holders and equity holders. Guggenheim also indicated a preference for debt rather than the complexities of managing inter-creditor relationships, and the upfront costs for legal & rating agencies in setting up ABS’s. He agreed critical mass to achieve the statistical granularity for rating purposes was $100M, preferably composed of similar asset class, with investment grade C&I offtaker. Storage, interestingly, was considered by all three to be a benefit to the project cashflow stability and the ABS, as a hedge for changes in net metering rules. The real estate asset holders funding renewable developments appeared on their own panel, moderated by the non-profit Urban Land Institute. Panelists included Vornado Realty Trust (VNO), a publicly traded REIT with marquis high rise properties, largest owner of LEED-certified property in the US, DWS Group, (formerly Deutschbank) with a $50B real estate portfolio, & L&M Development Partners a non-profit builder of low income housing held as long term assets. They all described solar+storage projects sponsored to provide energy to their properties. 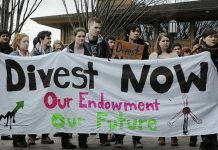 Their primary interests were long term energy cost containment, resiliency and participation in sustainability goals. DWS noted that decision makers on the DWS board as well as their institutional investors were in some cases interested in a narrative that added an impression that the project was providing a social benefit, perhaps reflecting an increasing involvement with ESG (environmental, social & governance) factors in the composition of their portfolios. She pointed to a case involving solar facility installed on a warehouse roof on Long Island with a remote net metering contract to supply a high rise with a small footprint in Manhattan. Jim Spano, of Radiant REIT, presented a related mission, to provide debt funding that matched the project life cycle to the loan term. He made the contention that there were excessive administrative and financing costs incurred at multiple refinancings that had to occur with the typical project development timeline. 1st stage refinance is aligned with the 5yr period until tax equity participants can exit, at tenors of 5-7 years, and often shorter term amortization results in negative cash flows, & discounting of positive cash flows projected well into the 3rd phase refinance, which adversely impacts costs of capital. Longer term financing entering earlier in the process, not only can reduce transaction fees & offer lower rates by matching the PPA term to the term of debt, but also can shift the debt equity ratio to 70-80% debt & reduce equity participation, reduce the debt service coverage ratio to 1.1 – 1.3, & can factor credit for SRECS into cashflows. Having recently published an examination of risk mitigation in renewable energy finance, I was interested to note that the conference led off with these issues. Early in the program, there were presentations and panel participation from four firms addressing risk mitigation, Unique Surety, Exxergy, S&P, & kWh Analytics. Bob Goldstein from Unique Surety described the role surety bonds play in providing performance guarantees for both general & key sub-contractors. Surety bonds are mandated by law for public construction projects, and are often required in private enterprise projects. Risk mitigation provided by surety bonds will enhance the ability of the project to obtain financing & underwriters to approve funding, and consequently are requested by both developers and by investors & financiers in their term sheets. He made a clear distinction that surety is not expressly a credit enhancement, but rather is a contract performance guarantee, which has the effect of enhancing credit and reducing cost of capital. Surety products are a 3-party contract distinguishable from conventional 2-party insurance, but parties often are under a common misconception that contractual default coverage is included under the property & casualty coverage, & omit surety in an effort to reduce soft costs. Premiums are often less than 1% of total exposure, & can result in a net improvement in cost of capital. 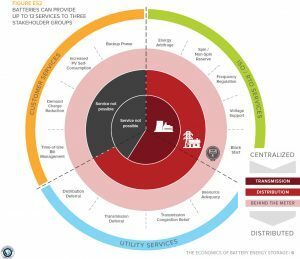 Surety can be used not just to benefit sponsors against EPC contract risks, but can also can offer cross coverage “wraps” between counter-parties, against a) failure of the asset operator/ independent power producer to deliver power, and b) concurrently against non-performance by off-takers to make payments. It can provide c) benefits to tax equity investors to cover the risk of challenge & recapture by the IRS of Investment Tax Credits. Strongly emphasized was the ability of surety to d) cover risks of business continuity due to non-performance of the Operations & Maintenance contractor, where a myriad of risks exist. Thomas Sauer of Exxergy, a German consulting firm, also focused on the vulnerabilities in O&M contracts. He questioned whether the “race to the bottom” was healthy for Levelized Cost of Energy (LCOE) of renewable energy to achieve parity with fossil fuel LCOE. The dramatic decline in pricing PPA’s in the in the PV market, which roughly approximates the LCOE, may be undervaluing assets, when very few PV sector players have healthy balance sheets, and as a Bloomberg study has shown, only 2 out of 11 PV manufacturers had Altman Z-scores above a 1.8 threshold for financial health. Adding to that weakness, operating performance risks can further reduce financial performance, potentially jeopardizing optimistic LCOE projections. He cited a Fruanhofer Insitute study showing the extent of performance risks, that 30% of inspected operating PV plants (out of total 1.5GWp) show module defects & installation errors not recognized upon inspection, as well as failures to identify malperformance in monitoring operations. A 2nd study conducted by Exxergy compiled an analysis of 3600 insurance claims, finding that loss spreads substantially exceeded underwriting expectations, ranging by as much as 2 orders of magnitude. To address this problem Exxergy is cooperating with IECRE, (the IEC System for Certification Standards for Renewable Energy, established in 2014) to develop a standardized rating system correlating the associated financial phases, not only to improve LCOE projections, but to be able to rank projects according to O&M performance risk, in order to streamline bankability, risk assessment & mitigation. The IEC (International Electrotechnical Commission), is an international agency with 133 member nations and 20,000 experts. All these factors would be compiled & ranked, resulting in a project rating. Risk mitigation strategies, to be effective, need a rating scheme to complement the certifications, a scoring matrix that can provide weighted factor outputs and a final score. The ultimate goal would be to match these outputs to risk equivalents of bond ratings. 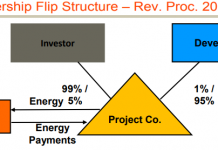 The long arc of Exxergy’s enterprise serves the broader vision of attracting long-term debt financing from institutional investors (pension funds, insurance companies, infrastructure funds, private family funds, sovereign wealth funds), with lower targets for returns and longer investment horizons that better match with 15-25 year project lifecycles. The ratings scheme supported by the standards scheme can potentially enable better access to sources for lower cost investment grade capital, and which have the largest pools of capital potentially available for renewable development. Matt Chou from kWh Analytics & Michael Ferguson director of Sustainable Finance at S&P Global Ratings sat together in on a 4-person panel about secondary markets for renewable project investments. kWh Anlytics offers a suite of risk mitigation products marketed as a “Solar Revenue Put” that guarantees 95% of forecasted energy production (with P50 probability) under an all-risk insurance policy that covers losses due to weather risk, equipment failure & construction defects. It also offers risk management software, manages its Solar Lendscape deal flow data base and provides intermediary services between projects and capital. But the discussion touched only briefly on the role of risk mitigation in secondary market transactions, when Chou commented that yield could be enhanced with risk mitigation by 30-50 basis point on levered after-tax IRR on a 25-35 year horizon for returns structured to achieve low single digits. He noted that these low-risk investment grade returns were not dependent upon PPA’s coming in at the absolute low of $18/ mWh, as witnessed in several such refinancings his firm had done with Swiss Re (SREN.VX), which is rated AA-1. Another panelist, Jerry Polacek from Tortoise Capital Advisors, commented that there were more secondary deals with foreign capital, which can incur an additional 100-150 basis points of expense to hedge foreign currency risk. Ferguson noted, when asked if valuations are affected by technical project ratings provided by S&P, offered an ambiguous response, saying that ratings were considered a necessary part of due diligence but were perhaps not decisive. He said that, on the one hand, despite returns being lower in ’18, valuations in fact were high, assets were over-valued, yet paradoxically also commented that prices were lower in ’18 due to the effects of both the US tariff and the reduced feed-in-tariffs in China. This was never clarified. He commented that most projects perform as rated, with not many surprises, and contrary to the findings of Exxergy, that physical O&M was less of an issue than complications arising from finance & development management. Both agreed that the deal flow for PV on the secondary market was greater than 2GW for ‘17, expected more in ’18. Both concurred that a preponderance of secondary buyers were entering at the time of Notice to Proceed (NTP). Deal drivers were less about securing the federal Investment Tax Credits, than in responding to the state level Renewable Portfolio Standards. There were more transactions involving aggregated portfolios of contracts, rather than single asset transactions. Secondary transactions involving storage assets were relatively rare, in part because the valuation process for storage is more complex than for solar, and because financial investors are less interested than strategic infrastructure or public investors. It was noted that storage designed to offset demand charges, as in the case of DC fast charger infrastructure, is not yet economic. Other storage topics discussed either in presentations or in networking discussions, included technology issues, financing challenges, and emerging policy discussions for grid integration and pricing. Viking Cold Solutions gave a presentation of its thermal storage innovation that uses a sodium based material with enhanced phase change properties, no mechanical parts, that can be installed in customer refrigeration facilities, cooled by running the compressors during off peak power pricing, and reducing compressor operation during peak periods by as much as 90%. It is effectively a behind-the-meter solution for peak shaving to reduce both demand charges and volumetric usage. Together with enhanced operating efficiencies for the primary cooling equipment by reduced usage and narrower temperature range tolerances, overall reductions in energy costs up to 35%, are common, resulting very short payback periods. 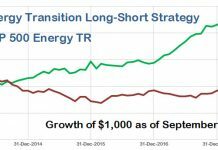 Thermal energy storage operates at 1/10th the costs compared to conventional lithium ion storage chemistries, and 4x the life cycle duration. STEM presented an AI-driven service in CA that creates virtual power plants, VPPs, by networking users with complex demand response capability to manage dispatchable power. Spano Partners, primarily a solar developer with projects mostly located in NJ, has been building partner relationships for a VPP project in Germany. Surplus renewable production results in a duck curve that pushes pricing negative. 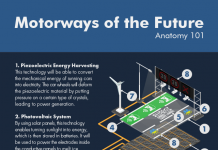 Current solutions involve wheeling power to Poland, but the VPP plan would build out a large distributed battery network to arbitrage energy pricing. C&I location partners would be offered free equipment, held by 3rd party leaseholders or utilities, and revenues would be shared among the stakeholders. Ascend Analytics, a consulting firm in Boulder, CO focused on storage applications, presented a detailed technical analysis of ISO congestion patterns associated with persistent price spikes, finding that high volatility nodes offer the best opportunities for developing added value storage capacity. Their revenue model also included multiple revenue layers from ancillary services. Delaware River Solar is a large regional PV developer in western NY focusing on 2-5MW Community Solar projects, that offered information in the networking sessions. Although it currently has only 1 operating project, it has an additional 44 projects in its pipeline, with strong support from local Industrial Development Associations in several counties. Centella Energias, a renewable systems developer based in Mexico shared ambitious plans in networking sessions for manufacture & deployment of storage being undertaken in Mexico. Hearing the array of speakers and interacting with the other attendees gave a granular insight into the everyday concerns of the people in this industry, and a deeper sense of the direction and momentum and penetration of the renewables market in implementing the broader goals of decarbonizing the economy. 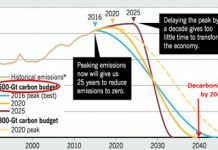 Surprisingly little expression of visionary goals was heard related to climate change or the urgent need to accelerate decarbonization, or meeting commitments to UN or Paris agreements. Perhaps these ideals were assumed among a fraternity of professionals manifestly committed to renewable energy. The most overt statements were offered by the representatives from NYSERDA, NY City’s Sustainability Office, and several non-profit entities. Rather it was a conference of technocrats, giving a glimpse of the nuts & bolts decision-making discussions one might expect to hear in their respective boardrooms. Conspicuously absent was any discussion of how finance would factor into reorganization of grid architecture. Grid integration is a major hurdle to renewables penetration, not only technically but also because of disincentives for large utilities, which show only as much support for DERs as is mandated and no more. A significant restructuring of grid architecture would potentially change those incentive relationships & open up a rapid non-linear proliferation of DERs that would include renewables and storage, and offer more opportunities for financing.